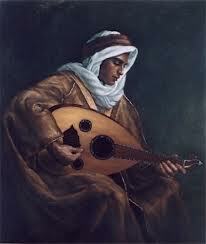 There are few sounds I’ve grown to love dearer in recent years than that of the oud. The plucked string resonates with a crispness that never grows stale. Though it is often played solo, its song is far more sonorous than the solo guitar. It speaks with a natural confidence, like some sort of precocious youngster where the (acoustic) guitar seems to whisper. This is not without its pleasures but the oud’s assured tone spells hope and urgency. 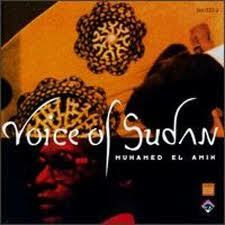 I’ve not been in Khartoum in Sudan though have worked with several Sudanese in my years in the aid industry. They were intensely proud of being Sudanese and frequently notified me that no one spoke Arabic with greater clarity and melody then themselves. And for a tradition and language that is intimately bound to speech and oral communication, as opposed to writing, this is high praise. My only visit to the country was to the south many years before it became an independent nation. I was on a mission to meet and interview some high ranking Ethiopian government officials of Sudanese extraction who had fled to the regional city (no larger than a small neighbourhood) of Nasir. Because of their association as loyal public servants with the despised and recently collapsed leftist Derg government headed by Col. Hailemariam Mengistu, they were in fear for their lives. 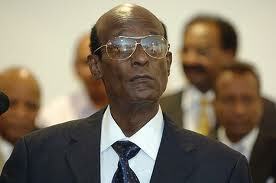 Though they were ethnically ‘home’ in southern Sudan, they were mistrusted and disliked by the local population. My job was to see if there was a way to get them resettled in the West. To make a tangential story short, there wasn’t and I don’t know what became of them after I flew back to Nairobi. This is another fine example of Arabic left-folk music. Oud and voice both in outstanding glory. is that th lawrence masquerading as a pseudo-arab?